The term “blind pig” originated in the United States in the 19th century; it was applied to lower-class establishments that sold alcohol during prohibition. The operator of an establishment (such as a saloon or bar) would charge customers to see an attraction (such as an animal) and then serve a “complimentary” alcoholic beverage, thus circumventing the law. The Blind Pig has worked with a number of core chefs in and around the Asheville area since its conception. We are ever evolving with new chefs and cooks which use their talents in a focused dinner experience. Many of our volunteer service and production staff have been with us since day one. The bones of how we work and what we do are driven by the creators, a husband and wife team that combines a perfect marriage of both of their talents. The difference between a speakeasy and a blind pig was that a speakeasy was usually a higher-class establishment that offered food and entertainment. In large cities, some speakeasies even required a coat and tie for men, and evening dress for women. But a blind pig was usually a low-class dive where only beer and liquor were offered. Blind Pig is constructed of and supported by a reputable host of very talented chefs, cooks, servers, designers, artists, farmers, foragers and hunters. Our menu’s and dinner concepts are drafted upon ideas that inspire us, going beyond and above conventional standards. We have strict food philosophies as you will find the use of local and seasonal vegetables, and local, sustainable meats, fish and seafood on our menu’s. Our purpose is two-fold. We intend to spotlight the creative talent that is unique to our city in the Southern Appalachians with food, art and music combined in one experience. We are also proud to raise awareness and funds for local and very important charities with each dinner concept. The Blind Pig Supper Club is fully licensed for business in the state of North Carolina and trademarked with all rights reserved. 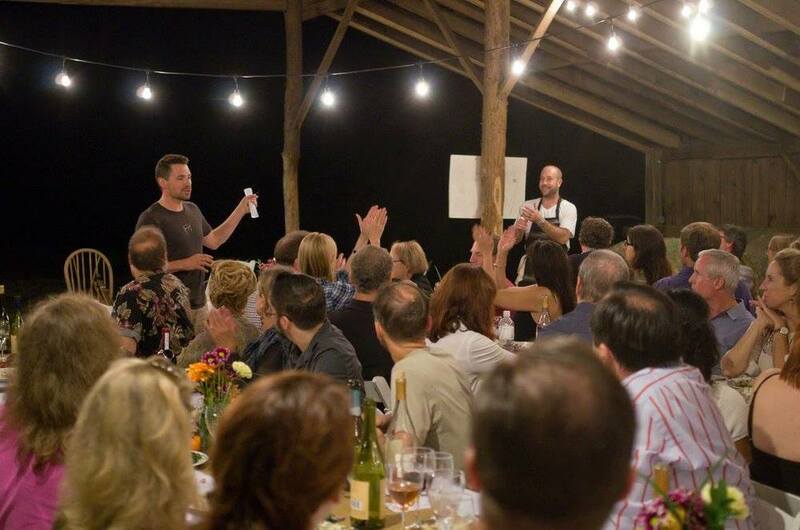 We are an exclusive, not-for-profit and private organization of creative and talented individuals motivated to organize and host dinner events fusing local art and local music with the talents of local chefs. We serve one dinner per month with a different concept, chef and venue. In the spirit of adventure, our menu and dinner location is kept secret to all ticket holders until the day of the event. A list of our local and national charities can be viewed at ‘What We Do’ on this site. What is a "Supper Club"? The first supper club in the United States was established in Beverly Hills, CA by Milwaukee, WI, native Lawrence Frank. They became popular during the 1930s and 1940s, although some establishments that later became “supper clubs” had previously gained notoriety as prohibition roadhouses. The underground supper club venue became popular more recently in the mid 1990′s in the San Francisco Bay area. ‘Ghetto Gourmet’ is known by many to have been the first organization of cooks and chefs to establish a popularity with diners as they were organizing dinners in private homes, etc in Oakland and San Francisco, California. Unfortunately, many cities do not allow unlicensed food establishments for profit and many of these supper clubs have since been closed due to local laws. Underground restaurants are also popular in Latin America, where they’re known as either a paladar or a restaurante de puertas cerradas (closed door restaurant). Depending on local licensing laws, they may or may not be illegal; either way, they’ve been built into the culture for decades, and often have higher standards than many licensed establishments. They are becoming increasingly popular in the U.S. 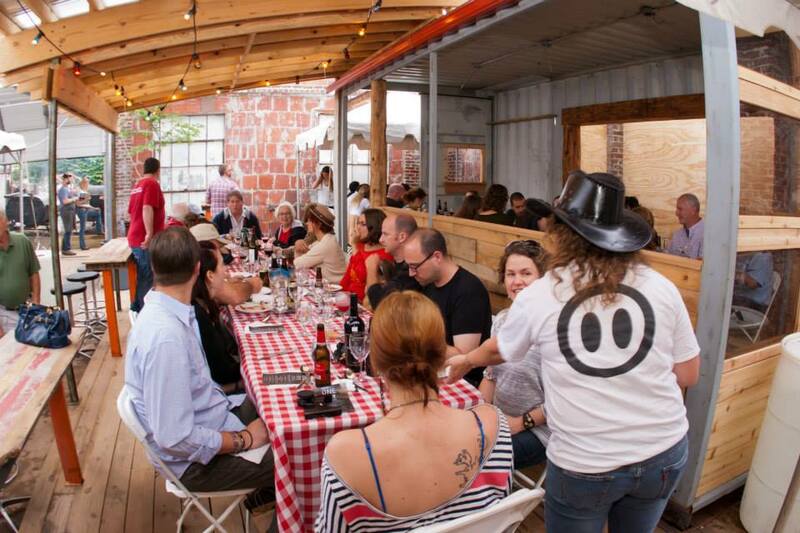 The attraction of the underground restaurant for the customer is to sample new food, often at low cost outside the traditional restaurant experience, which can be expensive and disappointing—underground restaurants have been described as “anti-restaurants.” They also generally provide a more intimate, dinner party style experience. For the host, the benefit is to experiment with cooking, raise the bar on local culinary trends and sometimes to raise profits for charities without being required to invest in a restaurant proper. “It’s literally like playing restaurant,” one host told the San Francisco Chronicle, “You can create the event, and then it’s over."